The fourth of July is the birthday of our nation. Today, we celebrate and enjoy the freedom that comes with the event that made this day so special. Thomas Jefferson, is the author of the Declaration of Independence. He led a committee that crafted the declaration between June 11-28, 1776. Jefferson and other discontented representatives from the thirteen colonies, voted and approved it on July 4, 1776. The document declared freedom for the 13 colonies from British rule. It currently resides in the Exhibition Hall of the National Archive in Washington, D.C.
One of the first things I was able to review for our blog was from Daddy & company and it was daddy scrubs. Well Daddy & co has grown to include many more products all celebrating the men in our lives. Men that make our world just a bit better. Dads & Grandpas that go by so many names from daddy , dad , pa, papa, or whatever name that famous man in your life goes by they are all so valuable. Right now through July 6th you can get that special man a great gift with a discount in price of 50% on certain selected products. Recently we were able to review a the Chef Daddy Apron. Since my husband does a lot of grilling in the summer time it was the perfect gift for him. He likes to be the master of his domain and when that is the grill he wants to be ready and prepared. The Chef Daddy Apron helps him do just that. The apron is not any simple apron it has a bottle opener, oven mitt, and towel built in. Don't worry it also has a large pocket for any extras that dad may need such as grilling tools or bottles. Since the grilling area may get a bit warm Daddy & Co thought of that as well and created the apron with a built in insulated beverage pocket. The apron cleans up easily and can be machined washed. Have a special man in your life who would love their own apron? Well heres your chance you can purchase your own at Daddy & co Another way is to enter to win one here on annies home. Extra Entries after you leave comment to above question. Scare crows are also very popular in the fall weather as well. Decorative purposes is what they serve then as the harvest has been reached. I can remember our family making scarecrows for both the summer growing season and fall weather as well. Often we would use old clothes that had been wore out or outgrown. 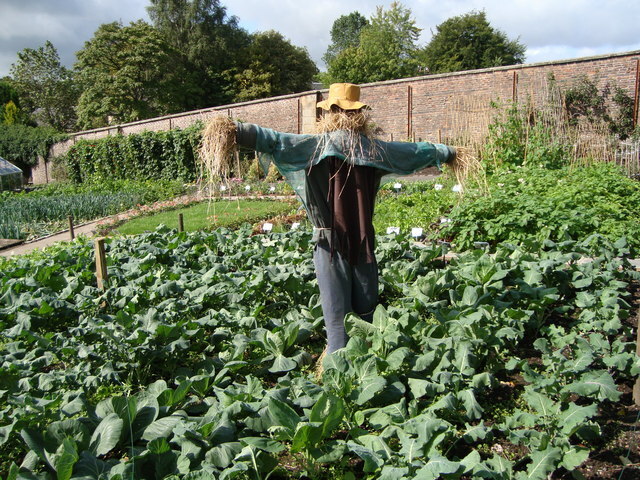 A scare crow can be created in any manner that you please. Drain the juice from the black, pinto, and kidney beans. Mix them up with the vegetarian beans in a foil drip pan. Chop up the bacon and fry it until done. Spoon onto a paper towel to drain. Drain most of the grease, retaining at least 2-4 tbs. Chop the onion up small, and fry in the bacon grease until well-cooked. Add the drained bacon, sauteed onions, and the rest of the ingredients to the beans. Stir well. Place on the lower BBQ smoker grill. Be sure and center it below where your drip meat will be cooking. Put your other items on the BBQ smoker and let cook until the meat is done. One of the tricks we learned when making a batch with the brisket is that 3 hours is generally more than enough to get great results, but anything longer than that will get too greasy and you’ll end up having to drain off a lot of fat. Place all ingredients, except Ketchup and worcestershire sauce into a saucepan. Reduce heat and simmer, uncovered for 15-20 minutes. 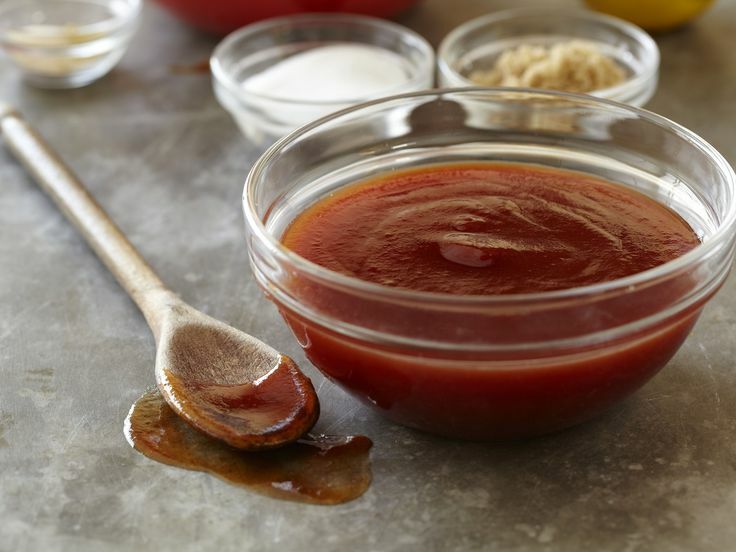 Stir in Ketchup and Worcerstershire sauce.